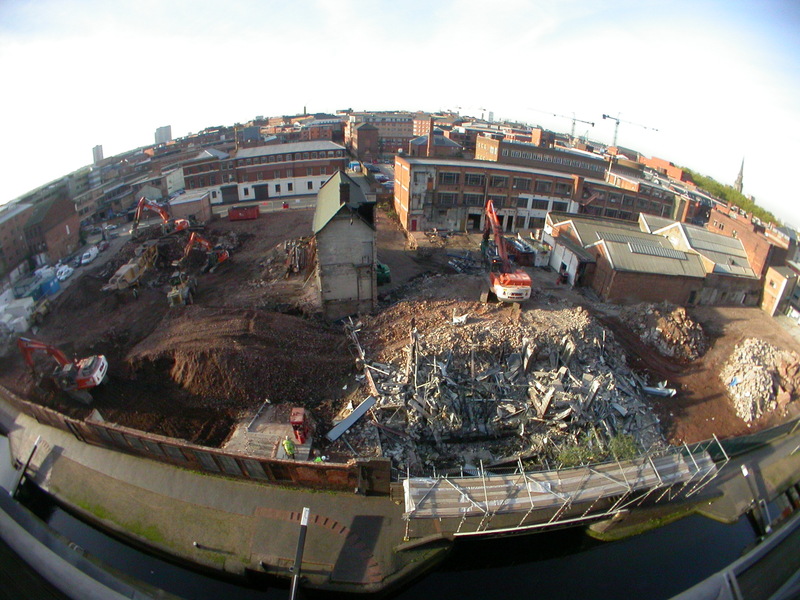 This blog is a personal project to record the transformation of the former site of the famous Elkington Electroplating works (founded by George Elkington) and latterly the Old Birmingham Science Museum to the new mixed use development called Newhall Square. Two listed buildings will be retained and incorporated into the development, including one of the former Elkington exhibition halls and the 18th Century Whitmore Warehouse, which will form a central feature of the square. Materials salvaged from the existing buildings will be incorporated into the scheme. Demolition started in September 2006 and construction commenced commence towards the end of 2007 with the first phase (hotel and offices) which were ready for occupation in 2008. The 2.34 acre site is bounded by Newhall Street, Charlotte Street and the Birmingham Fazely canal and is located on the “city fringe” of Birmingham’s world famous Jewellery Quarter. The centre piece of the £63 million mixed use scheme will be a piazza accessed from Newhall Street or the canal side. Work on the second phase of the project commenced 7 October 2013.